Veterans Day is a US Federal Holiday always celebrated on Nov. 11th. Veterans Day is a U.S. Federal Holiday, that is always celebrated on November 11th. If the Holiday falls on a Saturday, it is observed on the previous Friday. 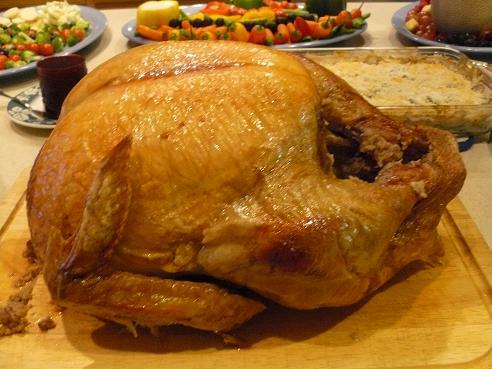 If the Holiday falls on a Sunday, it is observed on the following Monday. Veterans Day is a Military Holiday that is near and dear to my heart because our Dad is an Army Veteran! He spent three years away from our family, serving in two different wars, and he is a hero, at least to me! He was one of the lucky war heroes, because he made it home three times! 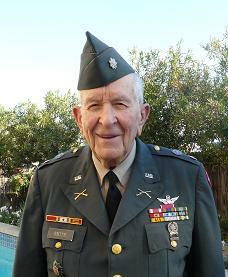 Our Dad, Retired Lt. Col. Herbert M. Smith, Jr. pictured on Nov. 7, 2012 wearing his Army uniform for a Veterans Day event at his church. This holiday is stuck right in the middle of our traditional big three; Halloween, Thanksgiving, and Christmas, so it is often overlooked! It has an interesting history that most of us don't truly know! Fighting in World War 1 ended at 11 am on Nov. 11th in 1918, even though the Treaty of Versailles was not officially signed until June 28, 1919. On Nov. 19th, 1919, President Wilson proclaimed the first celebration of Armistice Day or Victory Day, as a day to show gratitude for the victory of WW1. In 1926 Congress officially recognized the end of World War 1. On November 11th, 1938, Armistice Day became a legal holiday. In 1954 President Eisenhower declared that Armistice Day would be commemorated as Veterans Day, a day to honor veterans. In 1968, legislation was made that changed Veterans Day to the 4th Monday in October. This day was not the day of the Armistice and Veteran groups urged that November 11th be set aside to honor all of those that had served in the armed forces, not just from WW1. In 1971, President Nixon, signed a bill making Veterans Day a federal holiday on the 2nd Monday of November. In 1978, Congress Declared that Veterans Day would be always on November 11th! It remains here to this day! My parents attend Adventure Christian Church, in Roseville, CA. Several years ago, the Church added a Christian School. 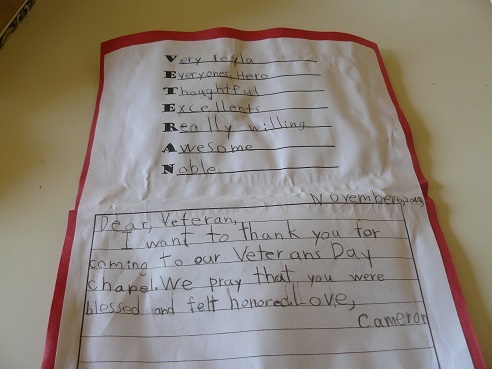 For the last couple of years for Veterans Day, the kids put on a Veterans Day Chapel event each year and invite local Veterans to attend. I attended with my Dad in 2013, and it was amazing. It was nice to see the respect that these young children were being taught to give the military. Many of the kids stopped my Dad afterwards and thanked him for his service. 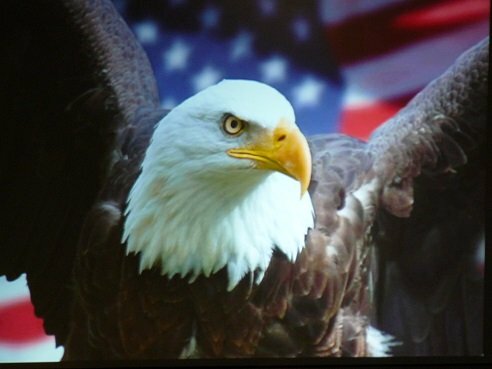 I took the picture above, of the American Eagle in front of an American Flag, from their slide show presentation. I also took pictures of some of the handmade cards that the kids made for all the Veterans. The original holiday was celebrated with parades, public meets, and a short work break at 11 am. Since the holiday was also known as Victory Day, people held their fingers in a V, which stood for victory! It is now considered the peace sign! People celebrate this holiday in different ways. Many visit the Vietnam Memorial or the Tomb of the Unknown Soldier or many of the other War Memorials. Many people place flowers on the graves of lost loved ones. 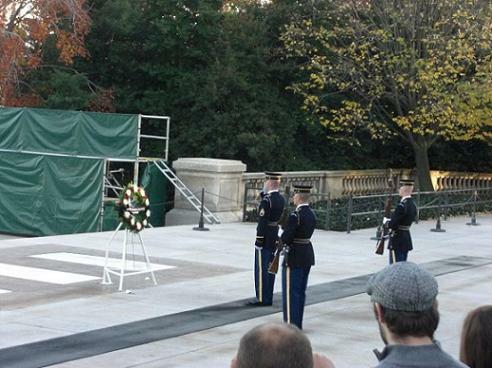 Some places celebrate a moment of silence at 11 am in the morning, when "Taps" is played. Many Veterans organizations sell red poppies to be worn on clothing as a symbol of the blood that was shed on the beautiful wild poppy fields in Europe, where many soldiers died. Some graves are decorated with poppies too. Many churches allow a special time for Veterans to be honored on the Sunday closest to this holiday each year. Veterans from each war are asked to stand for the wars that they fought, and receive a standing ovation in return! 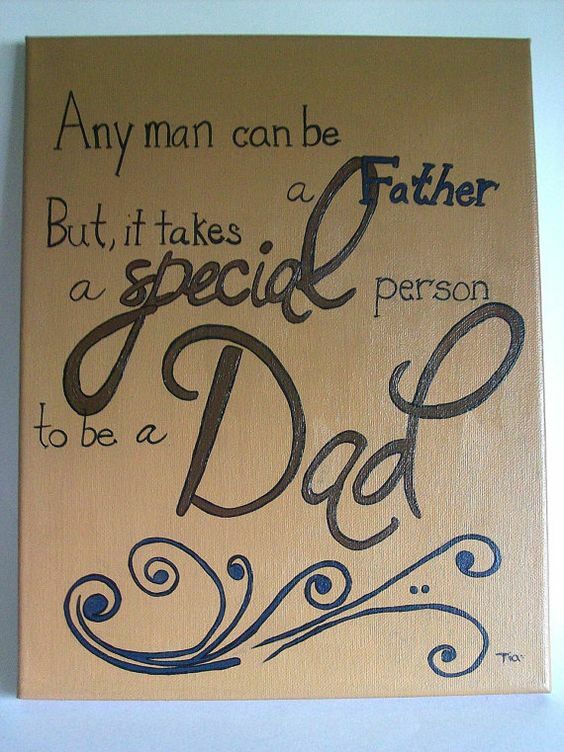 This is a tearful time for many! Many restaurants want to thank Veterans by giving discounts, or a free meal, as a thanks for service to their Country, which is awesome! You will need a military ID card and should call ahead to verify participation and times of service. Please Follow our Holidays and Observances Veterans Day - Holiday Board on Pinterest - below you will see our 30 most recent pins to this photo board! Click on the SEE ON PINTEREST bar right above, (link will take you to our Pinterest Boards) to see all the rest of our photo's on this board, and to Follow the board. New photos will be constantly added! A special Thank You to our Dad for his dedicated military career, and willingness to defend and serve his Country. A special thank you to all of our Veterans and their families that stand behind them! Please reach out to them, and include them in your family, include their kids as your own, and show them hospitality. They often move around so much, and making friends can be very difficult! Being friendly is such a small way to show your thanks, but it can be a huge blessing to you, and literally change their lives! Learn their stories and teach your kids to love our great country and to honor and respect our Veterans!! 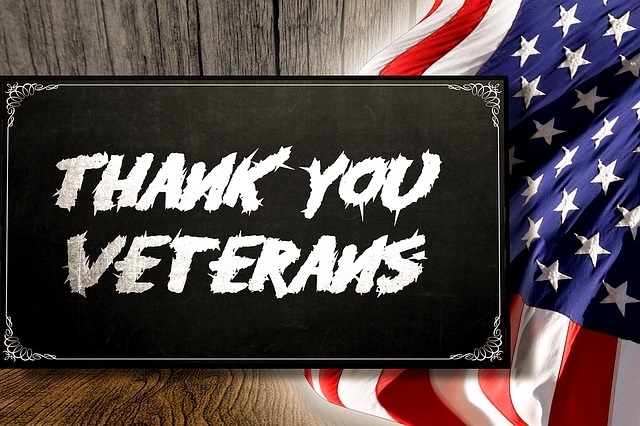 Veterans...Thank You For Your Service! R.E.D. 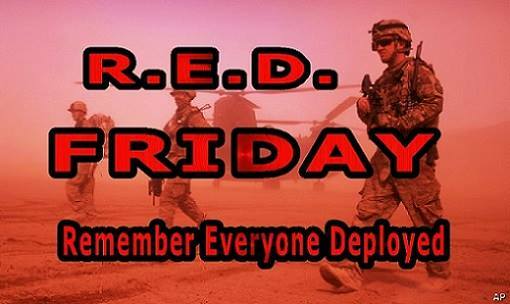 Friday - Wear RED every Friday to Remember Everyone Deployed!